Pastoralia is a short story collection where the author imagines a near future of capitalism, a frightening and chaotic world. Here the Haves are rich but crippled, both psychically and emotionally, and inspired by their malicious crave to get impossible wealth. They are trapped into pathetic existence, meaningless responsibilities and with dysfunctional relationships. The author has presented the stories through bitterly funny and fake characters. He throws us into the civilization’s nastiest days and nightmarish future and teaches us to fear it and fight against it; he has done it with humour and fun. In 2001, New York Times featured the collection as the Notable Book for 2001. He is considered to be the worthy history teller of our modern life. 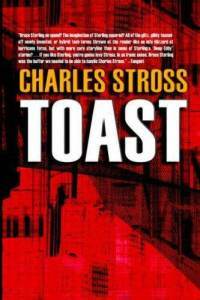 Charles Stross’s Toast is a science fiction depicting 20th century where he embraces new horizon by the information revolution. 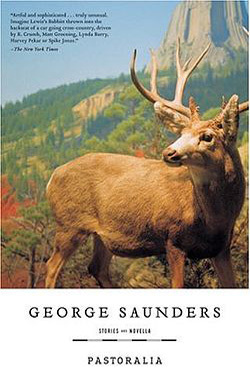 Through the collection of 11 short stories such as “Bear Trap,”, “Ship of Fools,” “A Boy and His God,” “Big Brother Iron”, “Lobsters” “Antibodies,” “Bear Trap,” and more, he, with his wide ranging imagination, has shown how developing technology changes individuals and societies and welcomes the new tomorrow with handful of possibilities. In “Antibodies,” a mathematical theorem undermines the foundations of all computer encryption systems, forcing fugitive behaviour from the narrator who has depended on the anonymity they hitherto ensured. “Ship of Fools”, which was written in 1995, reminds the grand scale of Arthur C. Clarke’s fiction in its projection of dire technological fiascos. Every story has its distinguished significance. 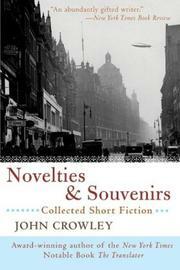 Novelties & Souvenirs is a collection of short fiction, which includes fifteen stories and novellas such as Antiquities (1977), Her Bounty to the Dead (1978), The Reason for the Visit (1980), The Green Child (1981), Novelty (1983), Snow (1985), The Nightingale Sings at Night (1989), Great Work of Time (1989), In Blue (1989), Missolonghi 1824 (1990), Exogamy (1993), Lost and Abandoned (1993), Gone (1996), An Earthly Mother Sits and Sings (2000) and The War between the Objects and the Subjects (2002). This collection is considered one of the most significant fictions of English Language. They all comprise of dystopias, retellings, alternate histories, and some of speculative fiction. The primary intention of the book is to portray a secret society that has been travelling through the time and ‘fixing’ the past issues to make the future a less violent and wonderful. 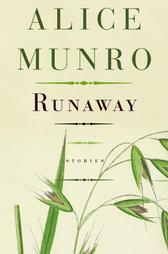 Runaway is Alice Munro’s newest collection of short stories, which is primarily about time, how small things that take place in course of our lifetime change our lives forever, and how those different events emerge in various forms as time advances. The stories take place throughout Canada–Northern Ontario, the Prairies, the West Coast, and Stratford. The story starts from ‘chance’ and through ‘soon’, ‘silence’, ‘passion’, ‘Trespasses’, ‘tricks’ and ends at ‘power’. “Chance,” “Soon” and “Silence,” pieces of stories about Juliet, a young woman whose acquiesces with a man in a train journey changes her life forever. She picks three incidents such as the train ride, a visit home, and a search for a daughter to describe the life of Juliet. Love, disappointments, suicides, and sorrows are picked up to depict a woman’s life. Link’s second collection Magic for Beginners, a contemporary dark fantasy story, consists of some the most accomplished stories of all time. These stories are not traditional but are some kind of supernatural that include zombies, ghosts, time travel, fairy tales, and more. The Faery Handbag, The Library, The Hortlak, Some Zombie Contingency Plans, The Cannon and Catskin and more. All these stories somehow depict familiar and the mysterious, various aspects of horror and beauty in life. Readers receive all kind of feelings including unpredictable horror, mystery, humour, and also grave reality. Fragile Things: Short Fictions and Wonders is a Neil Gaiman’s latest collection of short fiction as well as poetry- A miscellaneous assortment of science fiction, horror, dark fantasy, poetry, and speculative fiction- that was published by HarperCollins and Headline Review in 2006 in the US and UK. The collection includes The Hidden Chamber, Forbidden Brides of the Faceless Slaves in the Secret House of the Night of Dread Desire, A Study in Emerald, Strange Little Girls, Harlequin Valentine, Locks, How Do You Think It Feels?, Fifteen Painted Cards from a Vampire Tarot, The Problem of Susan, The Day the Saucers Came, Inventing Aladdin, The Monarch of the Glen, Going Wodwo (poem), October in the Chair, How to Talk to Girls at Parties and many more. Among wide range of collection ‘How to Talk to Girls at Parties’ is more popular that features two oversexed teenagers from South London who stumble into a party full of what they take to be hot chicks but are in reality alien tourists! Also included are a brilliant American Gods novella. 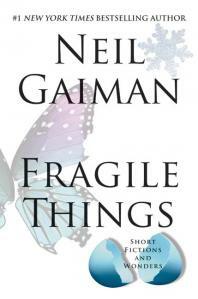 In 2007, Fragile Things won Locus Award for Best Collection, and “How to Talk to Girls at Parties” was nominated for Hugo Award and is known to the Best Short Story. Twilight Of The Superheroes, according to the New York Times is ‘one of the most important fiction writers now at work’. 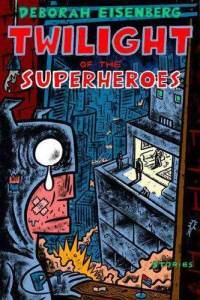 Twilight of the Superheroes consists of considerably long six stories that is about a complicated, and far from nuclear, family life. In her latest collection, she demonstrates human connection and disconnection, luck and disasters. She shows how a group of friends whose luck assists them acquire a deluxe Manhattan sublet turns into a disaster when their balcony becomes a front-row seat to the cataclysm of 9/11. Eisenberg masterfully “illustrates the lives of people rubbed raw by what the fates have sent them” (Vanity Fair). 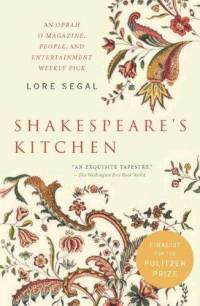 Shakespeare’s Kitchen is an anthology of thirteen interrelated short stories that revolves around a woman named Ilka. Seven of these stories have been featured in “The New Yorker”. In the latest collection, Lore Segal demonstrate human’s universal desire for friendship- how the relationship with the acquaintances matures in course of time; also, how leisurely and inexpressively, they weaken and vanish as time advances. She has discovered an emotional account of interpersonal relationships as a gauge of the human stipulation. In 2005, PS Publishing published this book in Britain, and received the British Fantasy Award, The International Horror Guild Award, and the Bram Stoker Award for best collection. 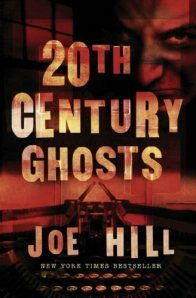 Joe Hill is also a 2006 World Fantasy Award winner, for his novella Voluntary Committal that is the part of the same book. 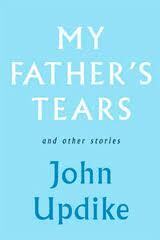 MY FATHER’S TEARS is the last in a authentic assemble of 18 stories from the master storyteller John Updike, who passed away in January 2009. The stories were previously published in different magazines including The Atlantic Monthly, Harper’s and The New Yorker. The book presents a diverse range of characters, themes, times as well as settings. Most of the stories are filled with characteristic insights of the human condition, delving into the human strength and courage and capture the emotion of the moment. The author brilliantly captures and blends narratives of his native Pennsylvania with stories of New England suburbia and of foreign travel. Concisely, it reflects and demonstrates the depression and pains that American experience after 9/11. It is a brilliant piece of writing where his minute and detailed observation of human condition, emotion and distress are prevalent.